Clean teeth like you have never felt before. If you have sensitive teeth, don’t worry we also have happy gas and can even give you local anaesthetic if needed. If it hurts, we will always stop immediately and discuss what the best option would be to make you comfortable. We only use a combination of the gentlest ultrasonic scalers and where needed an air polisher to remove hard to reach stains. How Often Should I Get My Teeth Checked? It’s up to you, but generally between every 6-12months. We will discuss your overall oral health risk profile and make a recommendation, then you can choose what fits your life. Most health insurance policies pay for a check-up and clean every 6 months, as this saves them money in the long run, as people are less likely to get problems by seeing the dentist regularly. 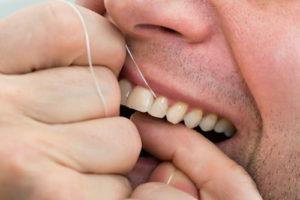 Occasionally, we see people every 3 months if they have genetic predisposition to getting lots of calculus and scale build up on their teeth which causes their gums to become diseased and inflamed. If you have a family history of tooth or gum problems, or have had problems in the past yourself please let us know.